So, second ( or perhaps 1.5) book in the series. I’ve not read book one though from sample and reviews I’m not sure how they connect, and I don’t think that affected how I felt about this novel. Its a strange book, full of magic and mysterious characters, people who are not what or who they seem, the usual rich, murderous bullies and a search to retrieve a missing magical ring that could prove disastrous for the world. Lots to pack in to 142 pages, and perhaps that’s part of my problem. I felt there was lots going on, but there wasn’t really enough info or time spent with the leading characters for me to take to them. Nalah seemed to still be blaming Esh for the tragedy of five years past…and yet he was her lover and her brothers best friend. They’d all been friends since they were very young, and helped each other survive a very harsh existence on the streets. So to have just left him as she did – well, I could see why he wasn’t happy about it. 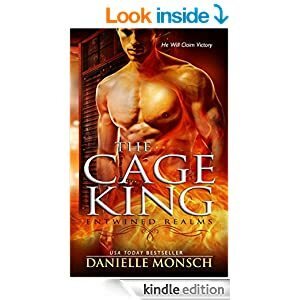 The story of the cage fights, and the man running them, didn’t seem to marry up properly for me with the magical side of events. I wasn’t sure why he’d raided the Guild and stolen such precious items – or how he managed to do it being un-magical himself, and ( you’d think) the Guild would have them well protected. Stars: 2.5. there were parts I liked but overall it just felt too muddled for me.